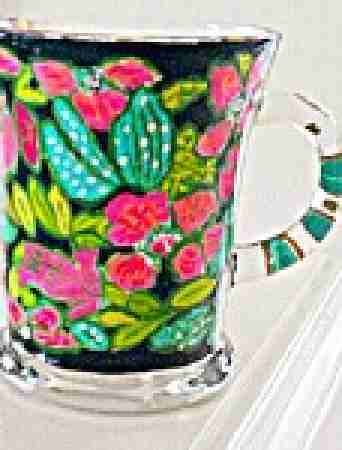 Clearly Susan offers a large selection of hand painted glasses, wine glasses, martini, champagne, margarita glasses to Irish coffee mugs and shot glasses to serve at your next party or give as a gift. 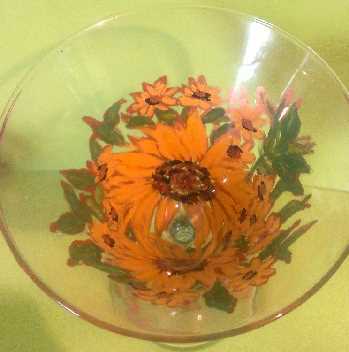 Be sure to check out our cheese domes and crystal wine decanters. 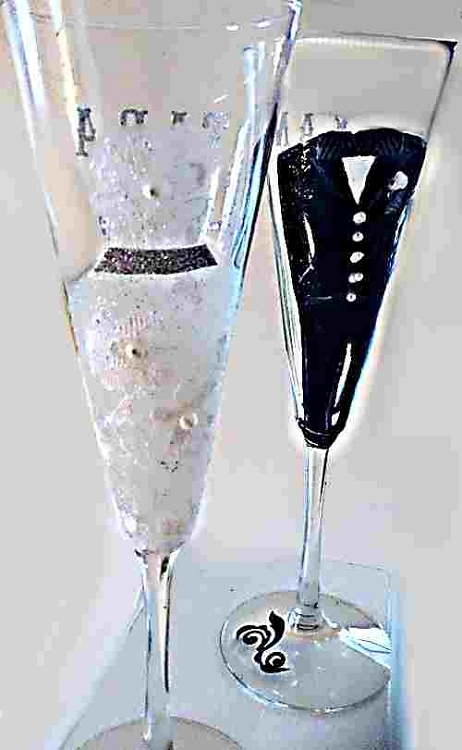 Have a set created to match your china or other crystal stemware. 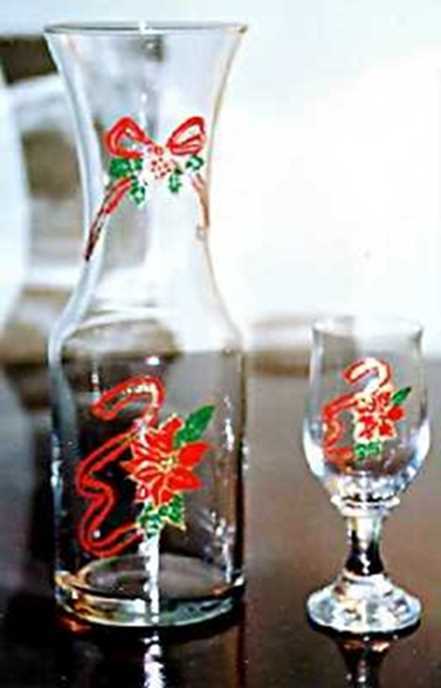 When you are hosting a dinner party, depending on your household budget the following are the most common variety of glasses you'll need.Hand painted glasses come in standard glass which can range from inexpensive at dollar stores to high end from department stores that sell lovely patterns of crystal. 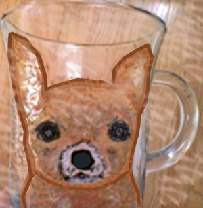 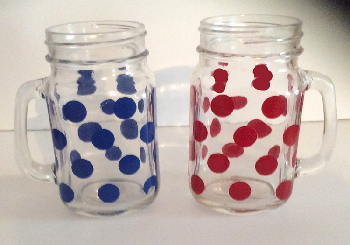 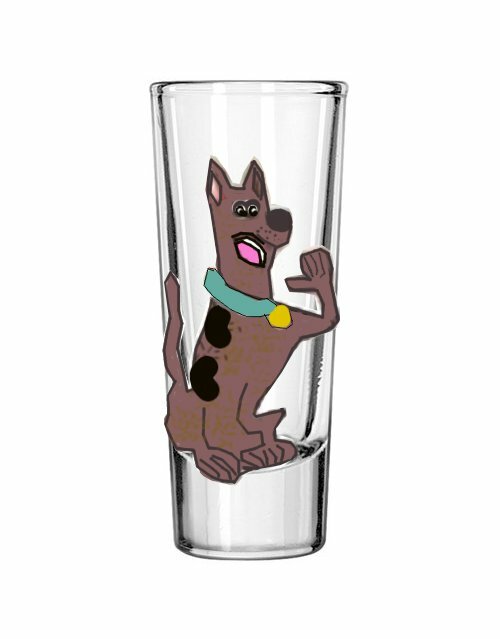 Prices as well as sizes do vary and we at Clearly Susan provide good quality of glassware for painting so that the glasses will last a life time with proper use. 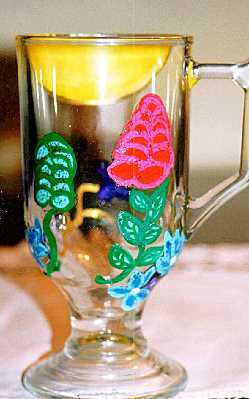 However, a small assortment of standard glass drinkware gives you the basics for setting a table.